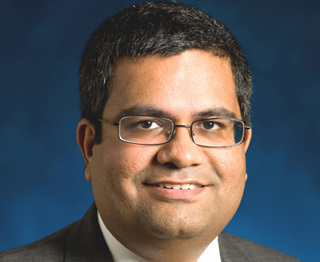 Manish Gaur is a Director advising on growth capital opportunities across various sectors in India. He is based in Mumbai. Since joining Carlyle in 2005, Mr. Gaur has been actively involved with Carlyleâ€™s investment in current portfolio companies including Infotech Enterprises, Value & Budget Housing Corporation, Great Offshore, Allsec Technologies, Dee Development Engineers and continues to work with them from a portfolio management perspective. Mr. Gaur was also actively involved in managing Carlyleâ€™s investments in Quality Engineering & Software Technologies (QuEST) and Financial Software & Systems, Tirumala Milk Products, Claris Lifesciences including in Carlyleâ€™s exit from these companies. Mr. Manish Gaur is currently on the Board of Allsec Technologies, Value and Budget Housing Corporation and Dee Development Engineers. Mr. Gaur has previously served as an observer on the Board of Claris Lifesciences and QuEST. Mr. Gaur has previously worked with Credit Suisse First Boston and Deutsche Bank as an Equity Research Analyst. In his five-year career as an Equity Analyst, Mr. Gaur covered the pharmaceuticals, media, auto and auto components, and information technology services sectors. Mr. Gaur holds a post-graduate diploma in management from the Indian Institute of Management (IIM), Ahmedabad and a Bachelor of Technology degree from the Indian Institute of Technology (IIT), Bombay. He is also a CFA charter holder.